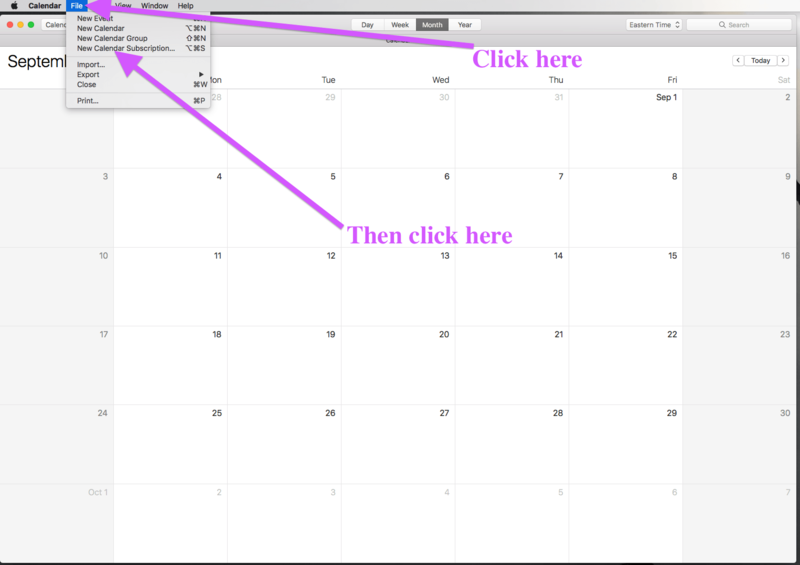 Syncing your Google or Outlook or Apple calendar with Ascension’s is really easy to do. What you’re going to do is add Ascension’s Calendar to your calendar, so that Ascension events show up on your calendar, but your personal events do not show up on Ascension’s. 2. 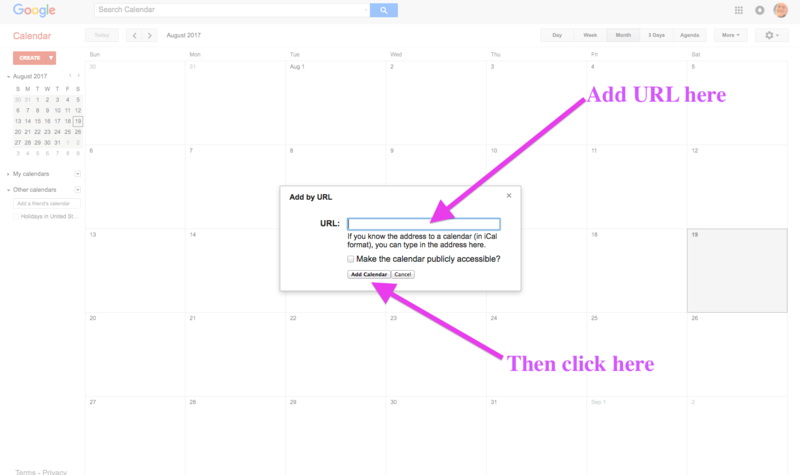 Click on this sentence to go to your Google Calendar and sign in. 3. 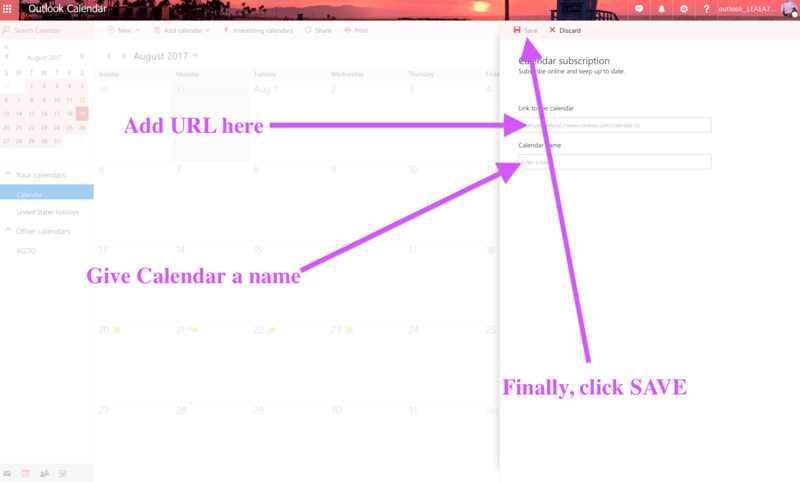 On the left side of your calendar, click on the “Other Calendars” arrow. A menu will drop down. 5. A pop-up window will open with an address box to add the URL. Paste the URL you copied from above. 6. Click “Add Calendar” and you’re all set! 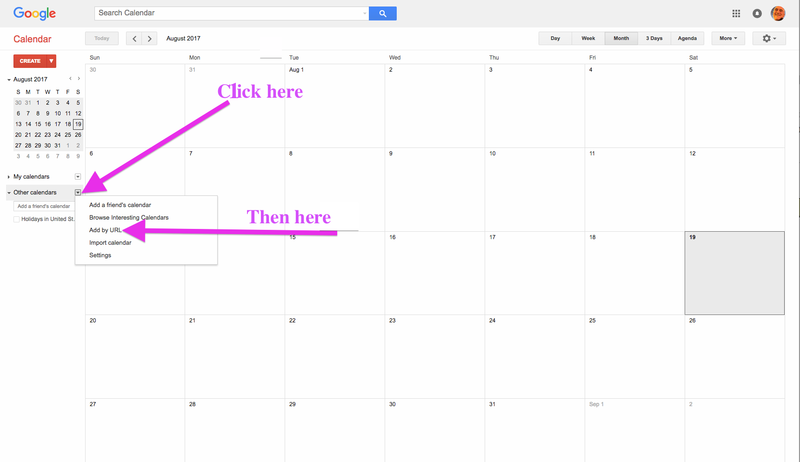 Events already in the Ascension Calendar should show up immediately in your Google Calendar. 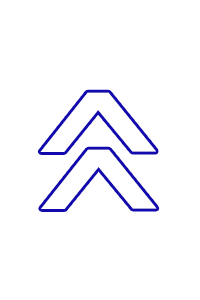 PLEASE NOTE: Events added to the Ascension Calendar after you first sync can take 24 hours or more to show up in your Google Calendar, even if you try a manual refresh. At this time there is no way to speed up that process. 2. Click on this sentence to go to your Outlook Calendar and sign in..
3. 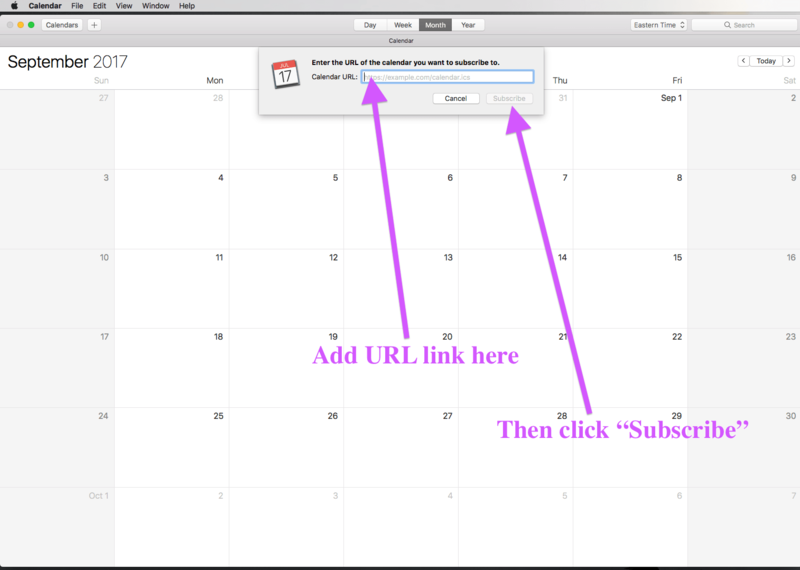 At the top of your calendar, click on “Add Calendar.” A menu will drop down. 6. Click “Save” and you’re all set! Events already in the Ascension Calendar should show up immediately. 3. 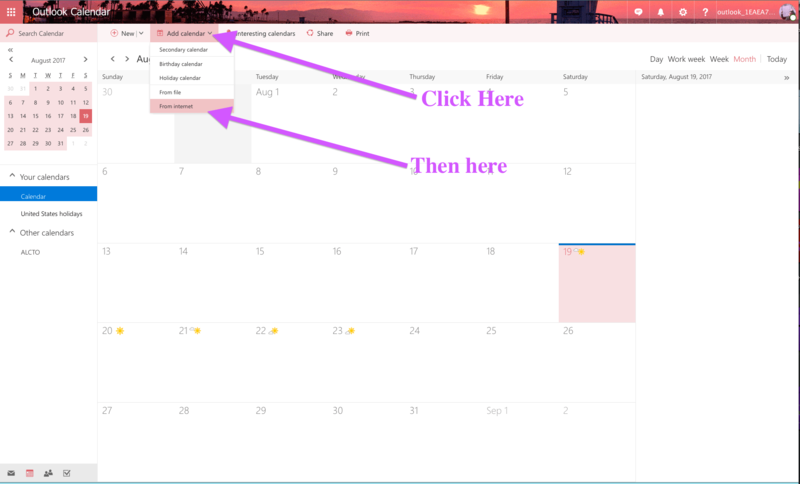 On the task bar, click on File and then “New Calendar Subscription.”  A box will drop down. 4. Paste the URL you copied from above in that address box. 5. Click “Subscribe” and you’re all set! Events already in the Ascension Calendar should show up immediately. Events added in the future will show up within the time period you have set in Calendar Preferences.